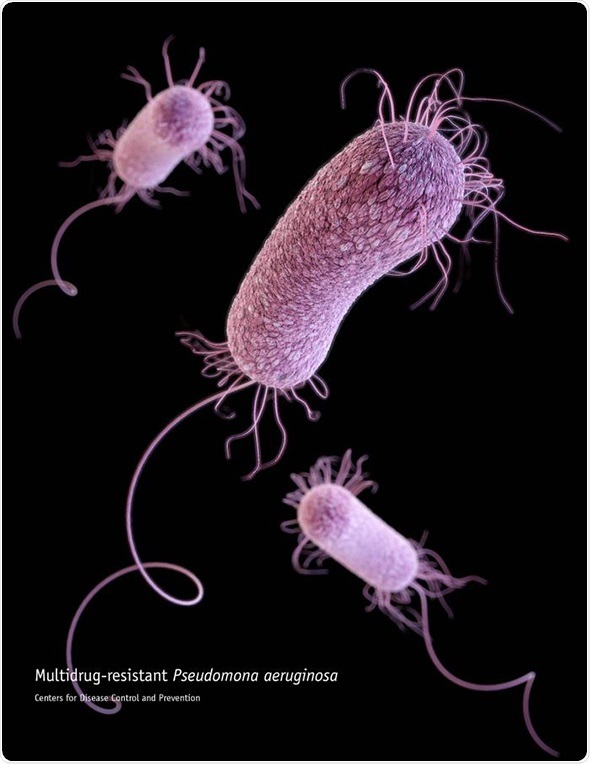 Pseudomonas aeruginosa (P. aeruginosa) is a Gram-negative bacteria that often occurs in soil and ground water. This opportunistic pathogen rarely affects healthy people and mainly causes infection in susceptible populations. Examples of predisposing factors include a low neutrophil count as a result of chemotherapy; a disrupted epithelial barrier caused by a burn wound; the presence of a foreign body such as a catheter and decreased mucociliary clearance in cases of cystic fibrosis. The most severe and even life-threatening infections occur in hospitals, where staff may carry the bacteria on their hands or equipment may be contaminated if it is not properly cleaned. P. aeruginosa is usually treated with antibiotics, but the infection is becoming more difficult to treat because it has become resistant to many of the most commonly used antibiotics. Selecting the correct antibiotic usually requires a sample from the patient to test whether any antibiotics may still be effective against the infection. 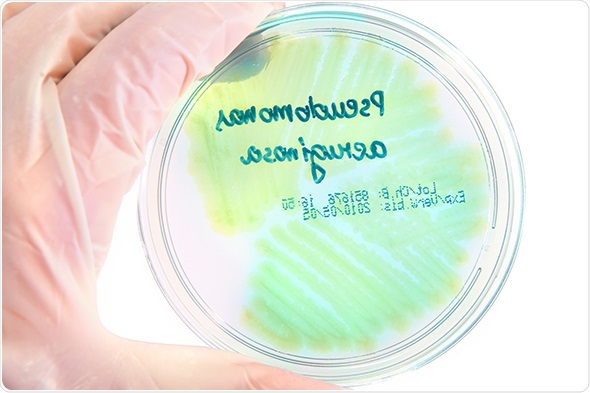 Several factors contribute to the success of P. aeruginosa including the resistance factors many strains have acquired, as well as its ability to use a broad spectrum of nutrients, meaning it can grow in hospital sinks, drains and even in disinfectants. The ability of P. aeruginosa to form biofilms also protects it from antibiotics and host defence mechanisms. An estimated 51,000 P. aeruginosa infections occur in the United States every year and more than 6,000 of those are multi-drug resistant. These multi-drug resistant infections can be fatal among critical care patients and account for around 400 deaths each year. An important question researchers are now asking is how does P. aeruginosa initiate infection once it has entered the host? Understanding how the bacterial cells interact and coordinate in space in order to colonize new surfaces can help researchers establish how P. aeruginosa behaves in order to form biofilms. P. aeruginosa is capable of multiple mobility modes including swimming, twitching, crawling, walking and swarming, with the latter often considered as a transitional step that occurs before biofilm communities form. Swarming is the fast and coordinated collective movement over surfaces that enables bacteria to migrate away from their inoculation point. It is more than a mode of locomotion, representing an adaptation that may facilitate antibiotic resistance. This collective motion is still poorly understood and researchers are currently trying to characterize the process in order to provide more information about how bacterial biofilms are formed. The majority of bacteria require either flagella or type IV pili (TFP) to move, but P. aeruginosa is one of the few bacteria that requires both of these appendages. Both flagella and TFP are required in order for P. aeruginosa to form biofilms and attach to surfaces such as eukaryotic epithelial cells. However, previous research has shown that the presence of TFP does not actually promote faster swarming. TFP-deficient mutant strains of P. aeruginosa have demonstrated an increased swarming phenotype, which has led some researchers to ask what exactly is the role that TFP plays in swarming? In a recent study, Anyan M, et al. investigated the physical role of TFP by analyzing the cell-to-cell patterning that occurs during swarming of P. aeruginosa wild-type and TFP-deficient strains. Computational models were used to simulate the swarming and predict the cell behavior that occurs during this process. The team found that as opposed to TFP-deficient strains, P. aeruginosa wild type restrict their collective motion by using TFP to interact with each other and slow down swarming. 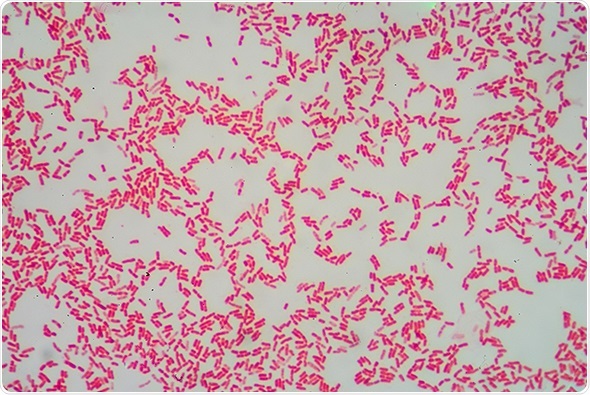 Furthermore, when the team studied the growth of P. aeruginosa wild type and TFP-deficient cells in plate assays spotted with the antibiotic carbenicillin, the wild type cells avoided the spotted region, while the TFP-deficient cells swarmed at a higher rate and moved into the region containing the most antibiotic. This suggests that P. aeruginosa cells use physical cell-to-cell interactions via their TFP to organize themselves within motile swarms in a way that avoids toxic environments. In order to capture visual data about bacterial swarming behavior, an effective imaging system is required. One example of such a system is the In-Vivo Xtreme imaging station (Bruker BioSpin Corp., USA), an extremely sensitive and versatile instrument that offers a combination of luminescence, radioisotopic, fluroescence and X-ray imaging in a single unit. This instrument has been designed for researchers that require high sensitivity imaging modalities and allows users to match the camera of choice with their specific performance criteria and research needs. Anyan M, et al. Type IV pili interactions promote intercellular association and moderate swarming of Pseudomonas aeruginosa. Proceedings of the National Academy of Sciences 2014;111:18013–18018. British Red Cross (2008) Open gardens. Available at: http://www.redcross.org.uk/index.asp?id=39992 (Accessed: 17 June 2008).